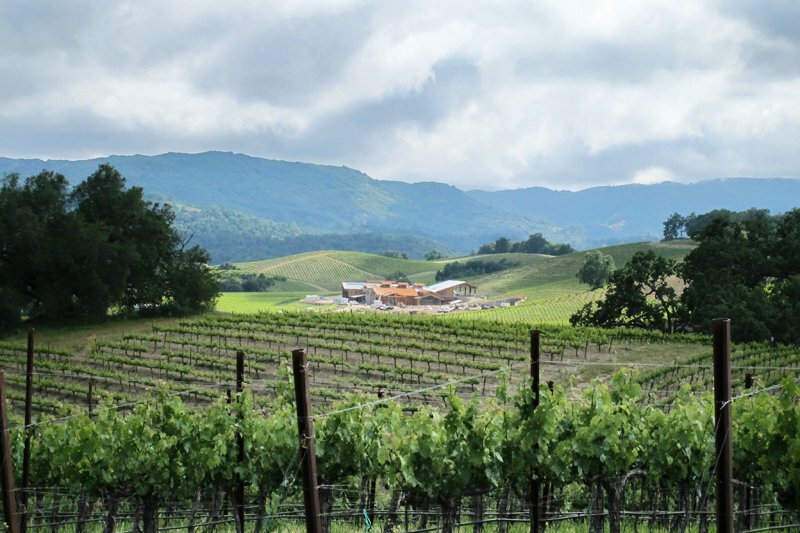 Low-key and lovely, the Central Coast region of California is being hailed as the new Napa for its undulating hills and vineyards, proximity to the ocean, and stunning scenery. From food and wine galore and landmarks like to the spectacular rocky beach at , this is a relatively undiscovered gem of a destination — though probably not for much longer. Paso Robles ("Pass of the Oaks" in Spanish), in San Luis Obispo County, is located midway between San Francisco and Los Angeles, which makes it a great side trip from either, as well as a destination in its own right. The prices are lower and the vibe is more laid-back than Napa and Sonoma. The area feels authentic, a total mix — farm workers and fancy types, gay and straight — which make everything feel inclusive and interesting. Unwind while you sip varietals, lounge by the pool, and hang with genuine cowboys. By all means, bring the kids. The name doesn't scream "breakfast," but locals line up out the door at Hoover's Beef Palace (401 N. Main St., Templeton; +1-805-434-2114) for homemade sausage patties with eggs and enormous biscuits with gravy. This place is so legit that a) they don't have a website, but b) they do have their own slaughterhouse out back. If Hoover's is good enough for area ranchers and farm hands, it's good enough for you. Bonus: You'll banish that teensy weensy hangover you might have sustained from a wine tasting or two (or four) the day before. If you're in Paso Robles on the weekend, stop at for the crazy bounty: artichokes the size of bowling balls, fresh berries, and baked goods. Kids will love the on-site playground and pony rides. For further running around, has a one-million-gallon lake, pavilions for picnics, and endless playing fields. See how olive oil is made at farm and mill. Their oils make for great souvenirs. in downtown Templeton serves a delicious bistro lunch with no-fuss attitude. Ancho duck and cheese quesadilla and pulled pork sandwich with shoestring fries are unparalleled. Follow up with a trip to for dessert. If you're with kids, show them exactly how ancient you are when you buy . Everyone should know Wax Lips, Fruit Stripe gum, and Gobstoppers. For a casual picnic, stock up on made-to-order sandwiches at . Of special note, the Calamity Jane: roasted pork, cilantro, pickled daikon and carrots, and rooster aioli on a crusty baguette. For dinner, go to the lovely , where gouda and porter fondue with andouille, broccolini, and garlic bread is a little slice of heaven. serves lunch and dinner, with much on the plate coming from their family-run organic farm. At , you can taste and buy small-production Central Coast wines. serves terrific Italian at lunch and dinner. When in Rome...Great soil conditions, proximity to the ocean, and mixed microclimates: That's the secret behind the hot new wine region's great products. Winemakers around here like to think outside the box, and they're producing interesting and great wines, especially in Rhône varietals. 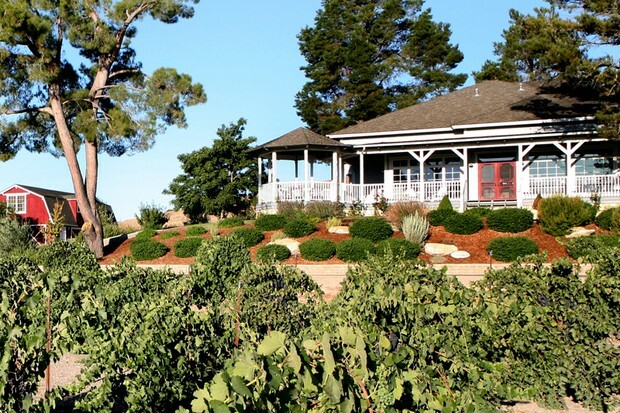 There are more than 200 Paso producers, and many of the best are small, family-owned wineries. Pace yourself. There's a lot to taste. - (pictured above): Don't miss their incredible Farmhouse Cuvee. Here's a head start on your tasting notes: "I sense hints of lavender, black cherry, fig preserves, and sage." - : Make for the hills for Côtes de Paso and a fine cabernet sauvignon. The spectacular 900-acre ranch historically produced its wines in an old airplane hangar but recently moved operations to a swanky new gravity-flow winery. - : The only certified biodynamic winery in the region. - : You can't visit the vineyard, but you can buy their noteworthy Syrah, as well as grenache and mourvèdre blends. - : Their big, bold zinfandel has a serious cult following, so be prepared to pay up: Bottles often trade at two to three times suggested retail prices. At Turley, you can sample many old-vine zinfandels from all over California, as well as from three local vineyards. The estate and the beautiful tasting room are on the old Pesenti Vineyard, which has zinfandel vines that are more than 85 years old. - : Located down the road from Halter Ranch. Come on Saturdays and Sundays to feast al fresco at Deborah's Room, before hitting yet another tasting room for a sip of their "Left Bank, Bordeaux-style" blend, Isosceles. - : The terroir in Las Tablas is similar to that of Châteauneuf du Pape. The estate's signature wines are Esprit de Beaucastel and Esprit de Beaucastel Blanc. Paso Robles loves itself a party. - Anytime: is a goat farm with more than 200 goats, alpacas, and miniature horses, where kids can milk the animals and make cheese. - March, May, October: The third weekends of the month are wine festivals. .
- July: The Fourth of July parade features floats and flags galore. combines musical acts, horse shows, and olive oil competition. "The Great American Road Trip" is the theme for 2012. - October: is a festival of kindness and community spirit (how refreshing!). celebrates a good old-fashioned grape crushing. - December: : For pure holiday kitsch. Make time for a scenic drive through the vineyards and over the mountains to the majestic San Luis Obispo Coast, where enormous stage epic battles and their young pups bob in the surf. Just down Highway 1 is Mediterranean-inspired , with its dazzling 165 rooms, endless gardens, and shimmering pools. Finish up any day in nearby seaside town Cayucos with a meal in the back garden at , followed by brown-butter sea salt cookies at . - Hotels: is a lovely 16-room boutique hotel with a European vibe and a welcoming pet program. Centrally located has hot springs, a low-key spa, and a heated pool. - B&Bs: Small, family-run inns are the name of the game here. One of the best for local color is the two-room . If that's full, ask about their Red Barn next door. Both offer a farm-stay feel, and kids will love the pool, sport court, and tractor rides. is an elegant — and much beloved — English-style manor house. in Cayucos is convenient to Hearst Castle and the cute seals in San Luis State Park. - Homes: Rent a house through . Fly: (SLO), located 24 miles from Paso Robles, is a complete delight in today's travel terms. It's small, manageable, and has several rental car agency options, as well as taxis. Fly from Los Angeles and San Francisco or from Phoenix. Drive: San Francisco is about three hours away; Los Angeles about three and a half. Depending, as ever, on traffic. Come prepared for California's highest swing between daytime highs and nighttime chills. - Average high/low temperatures in Farenheit: 87/50 in summer, 60/34 in winter. - April-October: highs from mid-70s to mid-90s. - March and November: highs in mid-70s. - December-February: highs in low 60s.